We have experienced so many wonderful years together and we are so thankful for the life that we share. To all our friends and family, we love you and thank you being a part of it all! 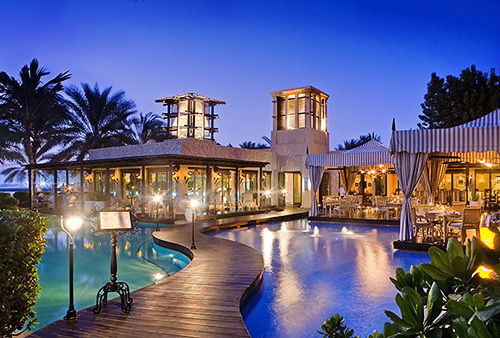 During our honeymoon at One&Only Royal Mirage, we will embark on an exciting sightseeing tour around Dubai. We will visit the Dubai Museum, and Sheikh Saeed’s House and we’ll enjoy a cultural walk at The Bastakiya and the Jumeirah Mosque. Next, we will board an authentic ‘Abra’, a river taxi ride or a Dhow cruise. 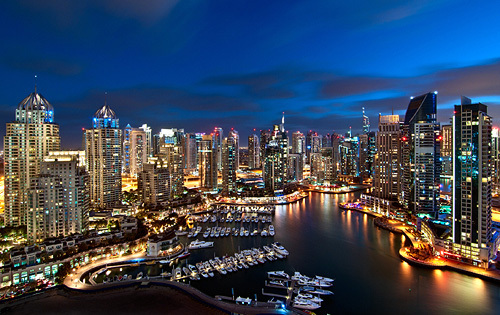 Thanks to your generous wedding gift, we will take in the amazing sights of Dubai! This item is approximately 155 AED. We will enjoy the Moonlight Sonata Dhow Cruise with Dinner. After we board a traditional wooden dhow, we will enjoy an enchanting cruise through the sparkling waters around Dubai. Along the way we will sit back, relax and indulge in a tantalizing dinner while admiring stunning views of Dubai, from its exquisite architecture to its traditional villages. This item is approximately 310 AED. During our honeymoon at One&Only Royal Mirage we will be able to learn more about the exotic history of Dubai and the marvel of Burj Khalifa with a journey to ‘At the Top’ observation deck. Located on level 124 of the world’s tallest tower, we experience 360 degree sweeping views from the Gulf to the Arabian Desert and beyond. Back on the ground we will also have the opportunity to enjoy an enchanting performance of light and water set to music ranging from traditional Arabian to classical at the Dubai Fountain, set in the 30-acre Burj Khalifa Lake in the heart of Downtown Dubai. This item is approximately 400 AED. Our honeymoon promises us the chance to enjoy the Starlight Express Overnight Desert Safari. With a knowledgeable guide, we will head deep into the vast expanse of desert for an overnight camp-out amidst oceans of sands under a sky filled with stars. The next morning, we will journey through the wadis, a stream bed or channel that only carries water during the rainy season, and make our way into the rugged Hajar Mountains before heading back to the resort. This item is approximately 650 AED. Your thoughtful wedding gift will allow us to play a round of golf at one of the many courses in Dubai, from the world famous Emirates Golf Club and The Montgomerie, just minutes away from the resort to Dubai Creek Golf & Yacht Club, The Desert Course, The Els Course, Jumeirah Golf Estates and Al Badia, all courses boast impressive challenges with One&Only Royal Mirage being the perfect clubhouse. This item is approximately 660 AED. Your thoughtful wedding gift will allow us to experience a magical and memorable adventure at the mysterious desert. Following a desert drive we will revive memories of the Arabian Nights in a private tent lit by flaming torches with Bedouin style seating, aromatic water pipes, and traditional food. We will also have the opportunity to add optional arrangements such as a private vehicle, falconry show, henna painting, fortune telling, or belly dance performance. This item is approximately 850 AED. On our honeymoon at One&Only Royal Mirage, we will embark on an exciting balloon expedition, a must do activity for any true adventure lover. Much like a magic carpet ride, the only thing we will expect is the unexpected. Floating 3,000 feet over the sands in a hot air balloon is one of the best ways to see and study the many aspects of the local landscape – shimmering golden dunes, emerald green oases, immense blue desert skies, rare flora and fauna, and the occasional camel or two. This item is approximately 995 AED. All accommodations at The Palace reflect chic, contemporary elegance with an Arabian twist, offering us the latest in modern technology and comfort. All rooms are adorned with ornamental arches, terracotta tiling and custom-made furniture. The vivid colors echo the warmth of the Arabian Gulf, while the soft tones recall the desert landscape. 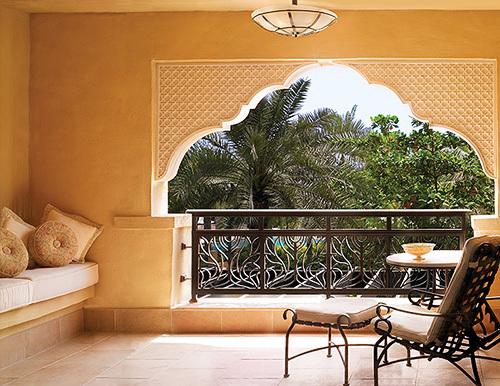 The accommodations at Arabian Court offer us the opportunity to indulge in the Arabian style of One&Only Royal Mirage. All rooms and suites are crafted in the spirit of the Orient, offering a true sense of place with carved arches, colorful mosaics, dramatic artwork and intricate furnishings. The Residence & Spa is an intimate sanctuary for those who wish to languish in the comfort of prosperity. The Arabian styled private residences each cared for by a specially selected, dedicated team, house a retreat of 18 suites and 32 Prestige rooms that are spacious, created with the finest detailing. Charming and enticing, this elegant haven is linked to the discreet reception, private restaurant and lounge. At Arabian Court, we will anticipate unforgettable evenings at three of its stylish restaurants including The Rotisserie, the grand all-day dining room, with a distinctive show kitchen; the trendy, moody and vibrant Indo-European dining venue Nina and the casual yet refined Eauzone, offering pool and beachfront dining with an Asian twist. At The Palace four specialty restaurants provide a selection of distinctive cuisines: Olives, for the taste of the Mediterranean; Tagine, a truly Moroccan experience, Celebrities for fine international cuisine; and The Beach Bar & Grill, for sumptuous seafood and grills in a romantic beachside setting. 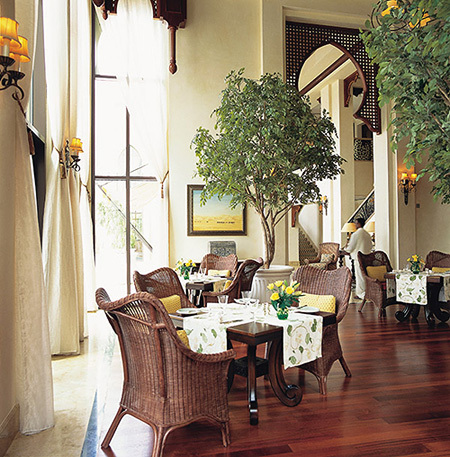 For a truly romantic evening we will indulge in the culinary creations of The Dining Room at The Residence & Spa. Featuring residential cuisine inspired and crafted from the richest ingredients, we will dine in an intimate setting designed with elegant wicker furnishings, light floral patterns and an abundance of light. 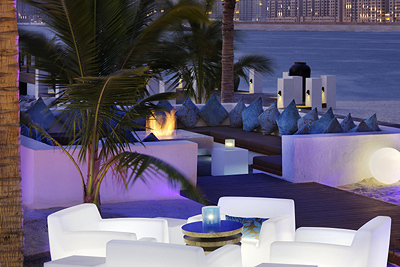 Together we will sit back and relax to enjoy the unique atmosphere of the bars and lounges at One&Only Royal Mirage. On the Rooftop Terrace, the resort’s most dramatic outdoor evening venue, we will enjoy pre-dinner drinks under the stars complemented by Arabesque chill-out music. At the hip & chic beachside Jetty Lounge, offering the perfect setting to unwind in a stylish yet relaxed environment, we will be invited to enjoy night time views of Dubai’s ever-changing skyline. 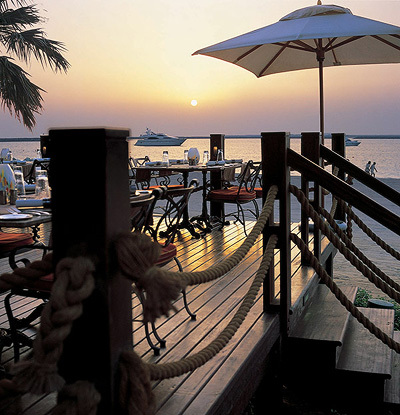 A truly memorable experience awaits on our honeymoon at one of Dubai’s most romantic beach resorts. At One&Only Royal Mirage, we will immerse ourselves in the ‘1001 nights’ fantasy boasting warm and caring service complemented by distinctive Arabesque amenities. We will entice our palates and delight in array of local and international restaurants; indulge in romantic bliss with rejuvenating treatments and embark on exciting adventures discovering local culture and traditions. 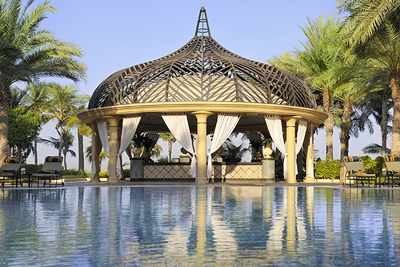 One&Only Royal Mirage promises a honeymoon escape with a true sense of place that is just as elegant as it is memorable. In a beautifully decorated setting with intricate arches, beautiful gardens and sparkling fountains, we will exchange our vows in the company of our family and friends. One&Only Royal Mirage will ensure that our special day is perfect in every way with creative, individual attention paid to each detail. With your lovely wedding gift, our beloved day will be just as memorable and enchanting as we imagined! 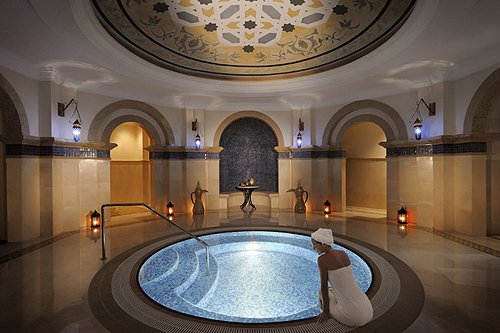 A traditional treatment at the Oriental Hammam, promises us a lavish experience on our honeymoon at One&Only Royal Mirage. Stepping back in time we will sit back, relax and soak in the luxurious waters as our mind, body and spirit is transported into a world of warmth and comfort. This item is approximately 370 AED. Together we will embark on a journey of pure relaxation and wellness. In the tranquil settings of One&Only Spa, we will choose from three unique treatments featuring authentic, powerful techniques using natural products for the ultimate spa experience. 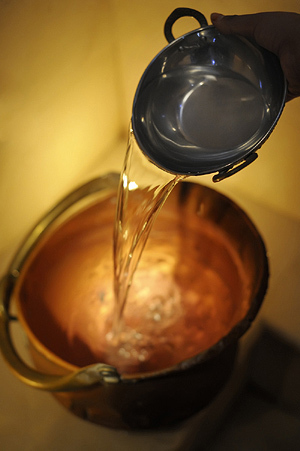 These rejuvenating rituals will relax the body, calm the mind and balance the soul! This item is approximately 740 AED.